100 cable ties per pack. Length 150mm - 6in. Width 3.6mm. Colour black. ..
100 cable ties per pack. Length 300mm - 12n. Width 4.8mm. Colour natural - ..
100 cable ties per pack. Length 100mm - 4in. Width 2.5mm. 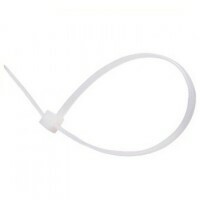 Colour natural - ..
100 cable ties per pack. Length 200mm - 8in. Width 4.8mm. 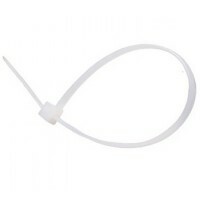 Colour natural - ..
100 cable ties per pack. 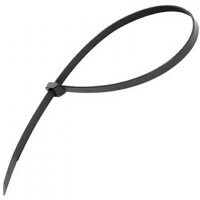 Length 380mm - 15in. Width 7.6mm. Colour black. ..
100 cable ties per pack. 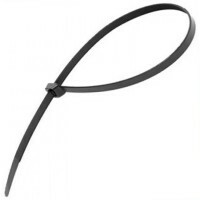 Length 380mm - 15in. Width 7.6mm. 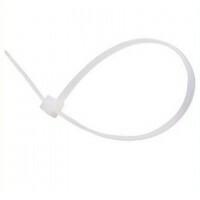 Colour natural -..
100 cable ties per pack. Length 450mm - 18in. Width 8mm. Colour black. ..
100 cable ties per pack. Length 150mm - 6in. Width 3.6mm. Colour natural - ..
100 cable ties per pack. Length 200mm - 8in. Width 4.8mm. Colour black. ..
100 cable ties per pack. 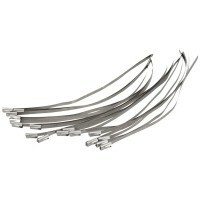 Length 368mm - 14 1/2in. Width 4.8mm. Colour natur..
100 cable ties per pack. Length 300mm - 12n. Width 4.8mm. Colour black. ..
100 cable ties per pack. Length 368mm - 14 1/2in. Width 4.8mm. Colour black..
100 cable ties per pack. Length 100mm - 4in. Width 2.5mm. Colour black. ..
100 cable ties per pack. Length 450mm - 18in. Width 8mm. Colour natural - o.. Length: 200mm. Quantity: 50 pack. Marine grade stainless steel ties with excellen..